Then you must attend our webinar, introducing the Unified Compliance Framework and the UCF Common Controls Hub which will now contain Elements and Practices from the GRC Capability Model. 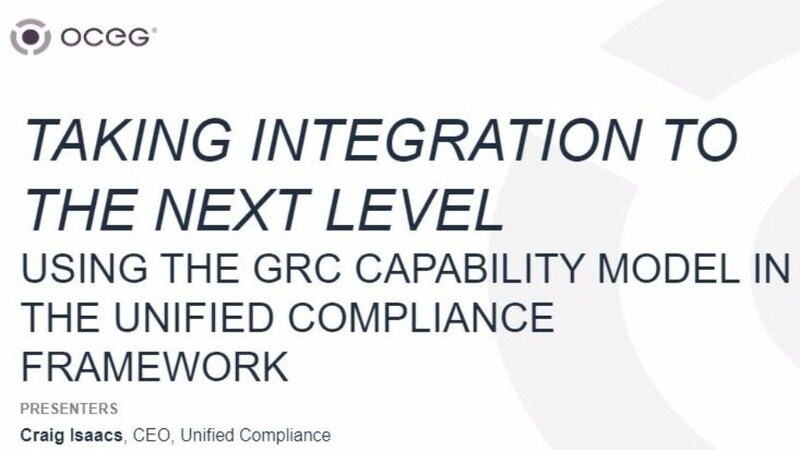 We have emailed instructions to access Taking Integration to the Next Level: Using the GRC Capability Model in the Unified Compliance Framework Slide Deck to . Make sure the email arrives in your inbox: either add "support@oceg.org" as a safe sender to your email platform, or if you use Gmail, drag our email into your Primary tab.